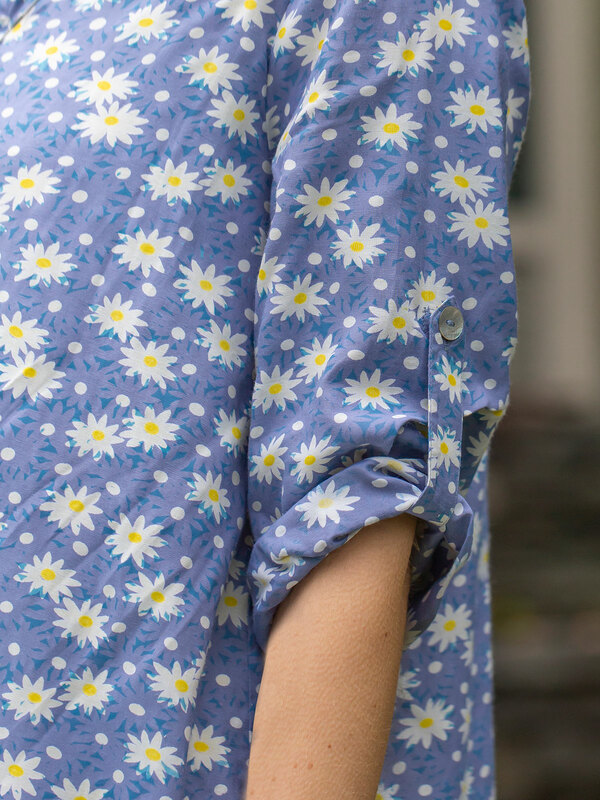 Flowing light periwinkle rayon awash with layers of blooming daisies - the Daisy Shirt Dress reflects all the the promise and beauty of the season at hand! Simple styling here defined by button tab sleeves (for roll up versatility) and a stream of scintillating agoya shell buttons. Approximate length - Front: 37.5", back: 42"